Description; Victoria Dinham doesn’t have much left to look forward to. Since her father died in a car accident, she lives only to fulfill her dream of being accepted into the Manhattan Dance Conservatory. But soon she finds another reason to look forward to dreams when she encounters an otherworldly girl named Ashlinn, who bears a message from Victoria’s comatose brother. Ashlinn is tasked with conjuring pleasant dreams for humans, and through the course of their nightly meetings in Victoria’s mind, the two become close. Ashlinn also helps Victoria understand asexuality and realize that she, too, is asexual. There were also things I did not agree with at all, especially with Reeves, it was too easy, too simple. This book wasn't for me but I would give Calista's other books a try. The characters did have much going for them... Ellie could have been way more understanding and I just...feel like the book fell short. It has a great premise, I was hoping for a wonderfully magic story...but it wasn't what I got this time.. It was also just so fast, so so fast. Days and you're in love? No. Not at all. Source/Format; eBook, from the publisher, through Netgalley, in exchange for an honest review. Description; We’re sitting there with matching milkshakes, Sasha and me, and somehow, things aren’t going like I always thought they would. We’re face to face under 24-hour fluorescents with the thoroughly unromantic buzz of aircon in our ears and endless flabby wedges of seated trucker’s arsecrack as our only visual stimulus. Like I said it wasn't a bad book, it just felt a little...predictable at times for me. And nothing really felt resolved for me. It definitely kept my attention, it's the first time I've read a single book in just over a day in little while, but I'm just entirely unsure whether I would personally recommend it. There has been a lot of love for it over on goodreads, maybe it's just me, but I feel like it's a book you need to form your own opinion on. All of the characters were flawed, but Clancy feels sort of like an unreliable protagonist because she at times can be a little dramatic... I didn't hate her character though. Source: Netgalley, in exchange for an honest review. Description: Literary agent Emily May is in danger of losing everything she’s worked for—her job, her home, her friends, and the security she provides her older sister back in Singapore—all because she doesn’t have a green card. Racecar enthusiast, high-flying, fast-living Derian Winfield is called home when the only family member she still cares about falls ill. Forced into assuming a role in her father’s dynasty she’s spent years avoiding, Derian needs to rehabilitate her black sheep reputation in a hurry or the agency will likely end up being lost in a takeover. Together, she and Emily take on Derian’s father and his hatchet woman, and in the process, Derian comes up with a plan to solve both their problems. Now she only needs to convince Emily to marry her, a perfectly reasonable solution to all their troubles, or so she thinks. She just hadn’t counted on falling in love. Review: This is the first ever book I have read written by Radclyffe...which I find surprising considering how much femslash fiction I have been reading over the past few months. Radclyffe's name appears a lot in the lesbian fiction categories on both amazon and goodreads so when the opportunity to review one of her books arose I couldn't wait to dive in. Granted, this review is a few months late as I did have an advanced copy. This book felt like a quick read and it was always very easy to fall back into the next day after putting down the night before, even though I didn't really want to put it down. I loved the characters and that although at first the story, and their romance, seemed a little fast the characters themselves were slightly self aware of this and kind of fought it. It wasn't all rainbow and sunshine and lollipops. It made the story have more depth. Emily and Dere were sweet together and I like that they came together because of someone else they both love. It is easy to form quick bonds in the face of an almost tragedy. The supporting characters were great. I love Ron and HW and I even found myself liking Aud, who I wasn't too sure of at first. I also found it great that the problems and the tasks they had to overcome were more based in life than within the actual relationships. I would have liked Derian to meet Pam though...just a little bit. If you are looking for a sweet, kind of fast, romance with great characters I would recommend this book, and I absolutely cannot wait to try more of Radclyffe's books. If her other books are anything like this one I can see her quickly climbing up my favourite author's list. 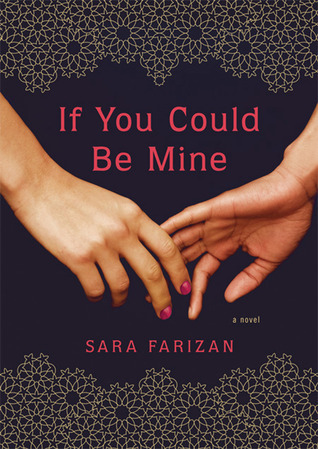 Description: In this stunning debut, a young Iranian American writer pulls back the curtain on one of the most hidden corners of a much-talked-about culture. Review: This book in one word for me is; heartbreaking. As a WLW who suffers discrimination as it is the place I live where being a lesbian is legal I can scarcely imagine my love being illegal. It doesn't seem possible. It definitely isn't right. At all. Nasrin is a spoiled brat. In the end, and even a little bit through the book Sahar does see this. There are definitely some things I don't like when it comes to what the characters do. But...the reason I love this book so much is that I understand their desperation. I understand why they would do these things. For life, or for love. It is honestly hard to put into words the reasons why I love this book. Although at times it was hard to continue reading because of the pain. Even though it made me cry more than it made me laugh. I love this book and I would recommend it to all of you, wlw or not. This Book is intended for Adults only. Description: When it comes to jobs in hell, being a succubus seems pretty glamorous. A girl can be anything she wants, the wardrobe is killer, and mortal men will do anything just for a touch. Granted, they often pay with their souls, but why get technical? My Review: I am a sucker (pun not intended) for paranormal/urban fantasy. While it is a category I only discovered in recent year I just can't seem to get enough of it. I love almost every PNF/UF book I have read so far, and this one had an extra thing to make me love it. Richelle Mead. I have devoured both the Vampire Academy and Bloodline series and I just needed more. I didn't regret it. Georgina Kincaid is a pretty down to earth character, considering she's a succubus and all. She leads a fairly normal life, she works, she reads, she dances. There isn't much about her that screams creature of seduction. Except for when she shape shifts, which, yeah, I'm totally jealous of. I like how at times she seems to struggle with her immortality, at least that's how it felt to me. She's very cautious about things because of that I think. Georgina is a good character, and I love her friends too. I will say that I had no trouble figuring out who the bad "guy" was going to be. I worked it out a fair few chapter before Georgina did, but I didn't mind that. Plus, I still questioned it. Overall a good and easy read, quick without distraction. Something I would recommend, but not gush about. I would recommend Richelle's other books first, but still one to be added to my 5 star shelf. A/N: Sorry I've been so MIA. The last few months of the year are always busy for me and last year...I went through a MAJOR reading slump, but I'm (hopefully) back and (hopefully) better than ever! Description: Evie O’Neill has been exiled from her boring old hometown and shipped off to the bustling streets of New York City—and she is pos-i-tute-ly ecstatic. It’s 1926, and New York is filled with speakeasies, Ziegfeld girls, and rakish pickpockets. The only catch is that she has to live with her uncle Will and his unhealthy obsession with the occult. My Review: In my opinion Libba Bray is a great world builder. I was there, in the 1920's with Evie and Memphis, and Theta. When they were scared, I was scared. When they laughed, I laughed. I was introduced to the works of Libba Bray through random booktube hopping. Everybody was raving for Beauty Queens, so I took the dive, and I too fell in love. I knew from then I had to see what else she could offer me, and thus far she has not disappointed. The Diviners shows me a different side of Libba Bray, one with monsters and several intricate lives woven into one story. 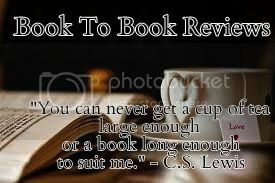 With plotlines that keep you guessing and wanting more. I can't wait to get the next book in the series, I have so many unanswered question. And (kind of a spoiler here, but nothing to do with the storyline itself) it didn't even end in a cliffhanger, which is what usually keeps me coming back to a series. If I was disappointed with anything...it would have the be the ending... It felt so anticlimactic. I mean, I know there are more books in the series, but the ending was just a little dull for me. It could have probably done without the last chapter, but then that's just my opinion. This one is a definite recommendation. Hey. I'm Claire, unabashed lover of books. You will usually find me sat on the sofa with a book, or my kindle, a cat - or four - and a hot beverage. I love all things fiction, and a lot of non fiction too. Mostly I read, but I do also love movies, music, knitting, and baking. If you have any queries you can find my email address under the review policies tab. Don't hesitate to get in touch. Become an Inkspell Publishing Ambassador!